The LX600-ACF 16" f/8 Cassegrain GoTo Telescope with StarLock from Meade is a research-quality telescope that is offered here as a complete portable observation platform consisting of the large-aperture optical tube assembly, double-tine motorized fork mount controlled by the iconic AutoStar II GoTo computer hand controller, with the addition of the StarLock guiding system to ensure proper tracking during astrophotography sessions. The OTA and mount are supported by the tremendous super giant field tripod, which offers stability and vibration absorption while still being portable for field use. 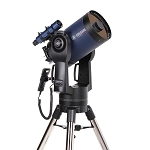 Representing the largest aperture in the series, the LX600-ACF 16" f/8 Cassegrain GoTo Telescope from Meade Instruments is a technologically advanced research-grade Cassegrain telescope on a heavy-duty motorized and computer-controlled dual-tine fork mount. 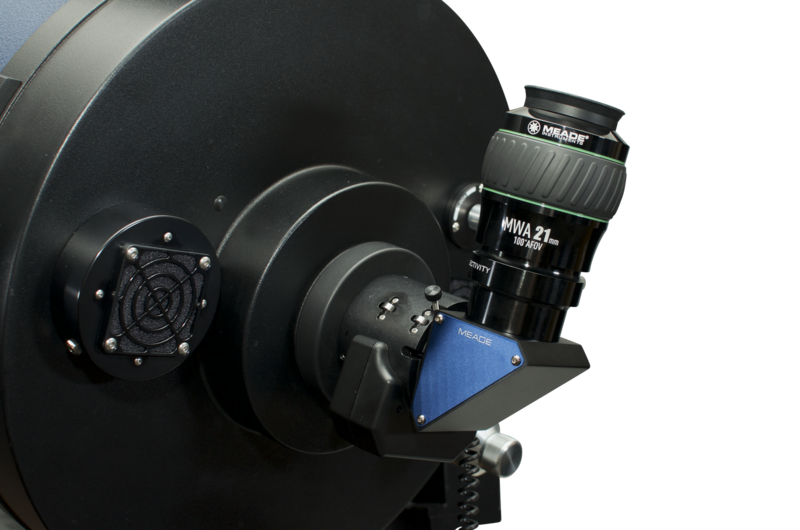 Its innovative optical design, combined with Meade's Ultra-High Transmission Coatings (UHTC) and Advanced Coma-Free (ACF) optical system, ensures that images are bright and clear, with high contrast, superb resolution, and faithful color reproduction. 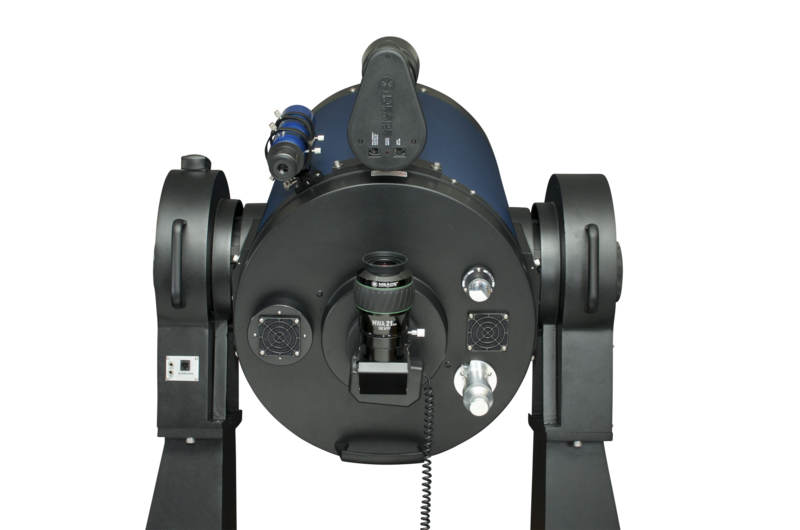 The ACF system uses specially engineered corrector plates and mirrors that complement each other to improve the scope's resolution and its ability to split binary stars and allow you to observe fine details otherwise missed by other scopes of the same size. 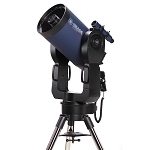 This version of the 16" LX600-ACF is offered here with the mount and OTA, but without a tripod for those who have a reliable and stable support system, pier, or other custom system. Multiple technologies work together to put this mounting system above the standard GoTo mount. 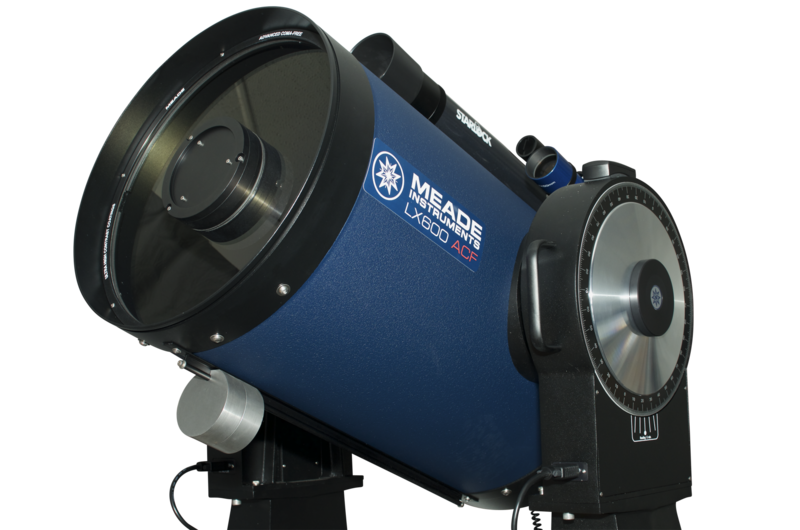 Meade outfitted it with a built-in GPS receiver and time chip, so the mount can automatically determine its location, day, and time when turned on. This information is sent to the StarLock system, which uses two digital cameras built into an 80mm f/5 refractor OTA that is piggybacked onto the main LX600 optical tube. The cameras take wide-field photos of the night sky and compare them to an internal database to automatically align the scope. 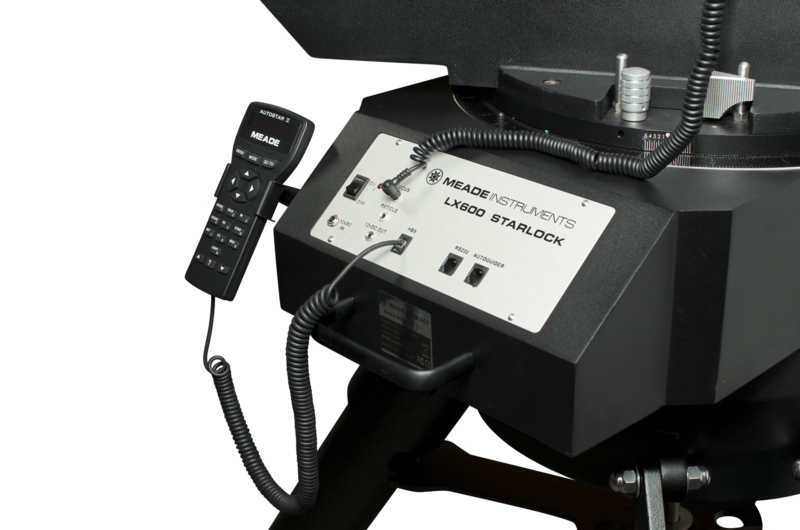 During long observation or exposure imaging sessions, the StarLock system continuously checks its orientation and tracking and adjusts as needed, sending the data to the Smart Mount and Smart Drive systems. The system learns the intrinsic tracking errors, adjusts itself automatically, and remembers the adjustments to continuously improve tracking accuracy over time. The brain of the mount is Meade's iconic AutoStar II computer controller. 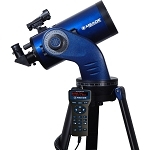 This hand-held unit has an internal database of over 145,000 objects from the Moon and planets, to galaxies, nebulae, and constellations. 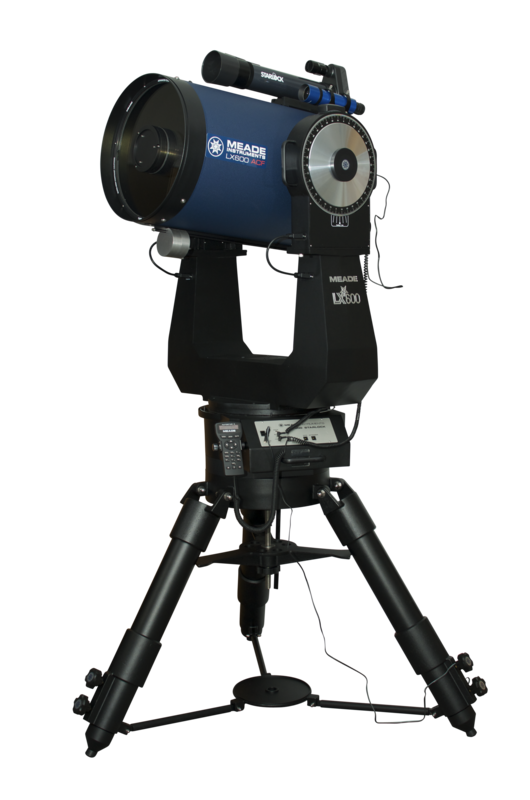 Coupled with the StarLock system, the AutoStar's tracking accuracy is an impressive ±1 arcsec. It can calculate future events like sunrises and meteor showers, and predict solar and lunar eclipses for the next 100 years. 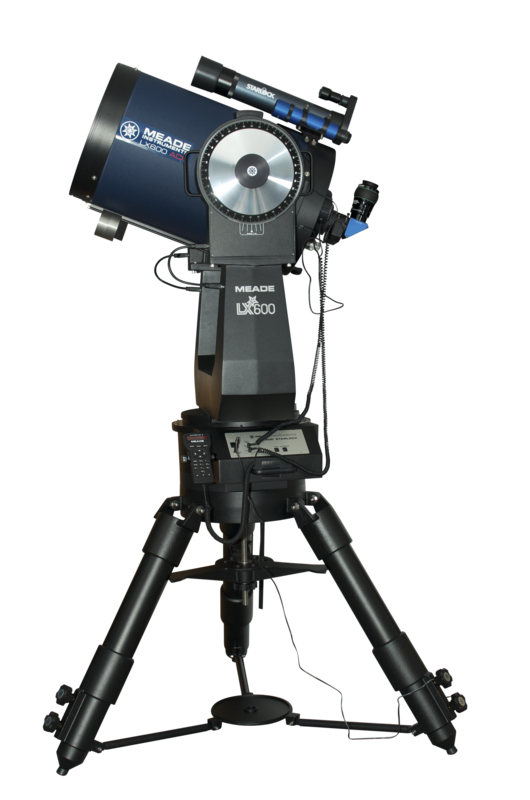 Once set up and running, the AutoStar II can take you on guided tours of the best objects visible above, including a detailed tour of the lunar surface with points of interest such as Apollo landing sites, craters, mountains, and mare. 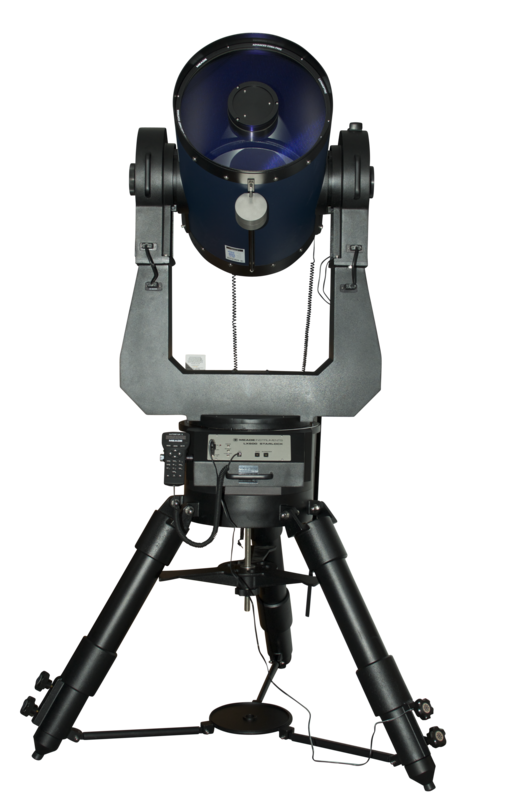 The Super Giant Field Tripod has the support needed for a scope of such aperture and specification, yet is remarkably transportable for such an instrument. 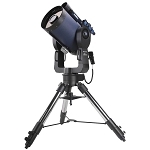 The tripod and 16" telescope together can be set up in the field by two adults in about 10 minutes. 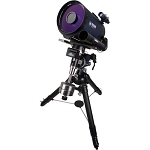 For normal viewing and short-duration astrophotography, you'd need nothing more. Box Dimensions (LxWxH) 40.0 x 30.0 x 30.0"